October is looking like another busy month for our favourite Amazon, with all of the usual fun plus a returning special I’m very much looking forward to. DC is also doing monster themed variants for many of their titles, just like they did in October last year. 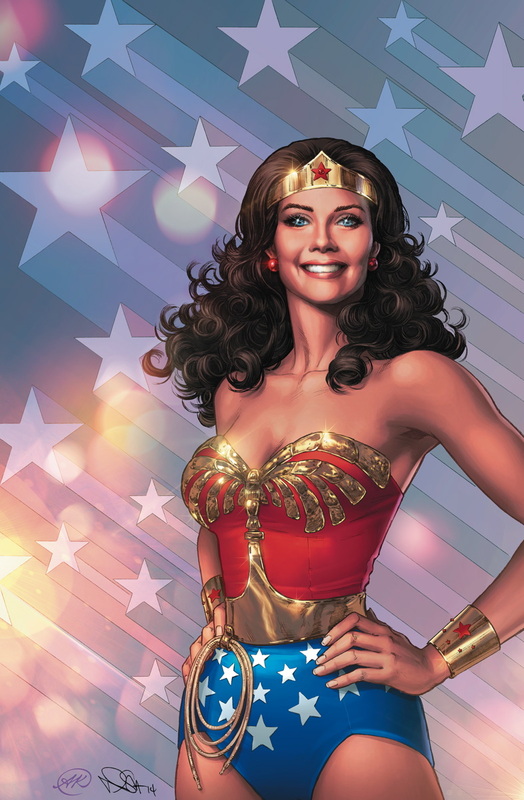 It’s good Halloween fun, and two of Wonder Woman’s titles will be part of the line. So let’s see what Wonder Woman will be up to in October! With the Fates dead and Donna Troy still on the run, Wonder Woman must confront the sins of her past and a new, growing threat that’s closing in on the Queen of the Amazons! I don’t imagine that the Finch cover is actually the final cover, but you never know. It just looks like a panel, and those blue bars don’t look great. 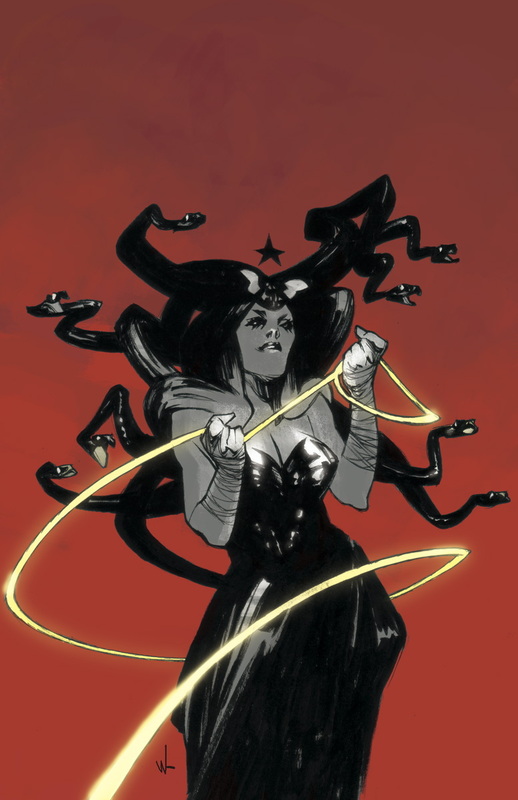 I’m not sure whether Claire Wendling’s variant is the final cover or just a sketch either, but I’m super into it. I hope it is the final cover; I like the rougher aspects of it. Anyway, the Finches carry on with their uninspired tenure on Wonder Woman. Apparently the Fates are dead. Thanks for the spoiler alert, because they haven’t even shown up in the comic yet. 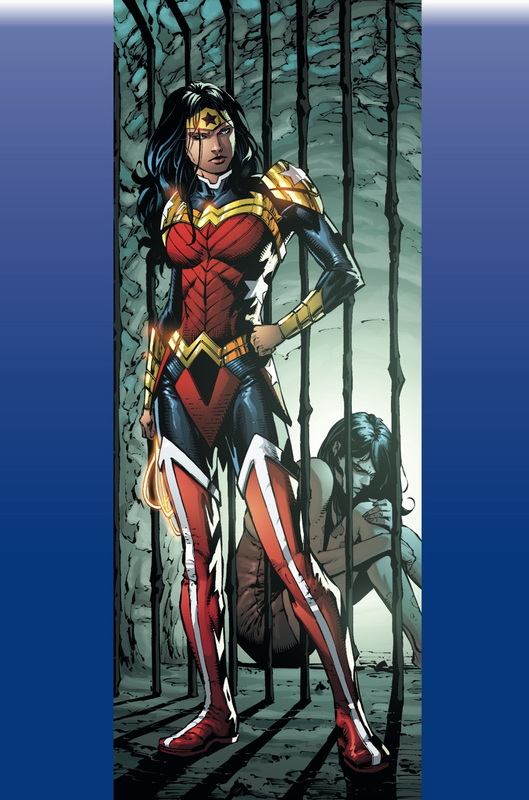 Also, Donna Troy hasn’t broken out of prison in the comics that have been published so far, but several solicits have told us she’s going to. You almost don’t have to read the comics, really. Just follow along with the solicits and you’ll get all the highlights. Following a shocking betrayal, Kal has lost faith in justice. Now, he’s embarking on a dangerous quest to restore his powers, while Wonder Woman makes unexpected allies of Lois Lane and Lana Lang. The insides of this series have never done anything for me, but what I do love is it’s proud tradition of excellent variant covers. This one by John Paul Leon is fantastic. It’s a great idea for the monster theme, and is just all sorts of gorgeous. I’ll be glad to put this with my collection of Superman/Wonder Woman issues I’ll never read again but I keep to enjoy the lovely covers. Man, Superman is really out of sorts, eh? Losing his faith in justice?! That’s a third of what he stands for! In theory I’m excited for a Wonder Woman/Lois/Lana team up, but being familiar with the quality of this book I’m not overly optimistic that it will go well. To be honest with you all, I wasn’t a big fan of either of these stories when they came out digitally, but I do love this cover. It’s lovely work by Jenny Frison, and will look amazing on the stands. The stories inside are pretty average, but neither of them are bad. They’re also very different stories, so chances are you might find something you’ll like. So many stories! Plus the Cheetah and zombies, presumably. This should be a fun book. None of the stories have been released digitally yet, though I anticipate that they’ll be out soon. That’s a great lineup of artists, and Marc Andreyko did a fine job with the first few Wonder Woman ’77 stories so I’m glad to have him back. Nicola Scott’s cover looks fantastic as well. This will actually be out at the end of September instead of October, so keep your eyes peeled for that. 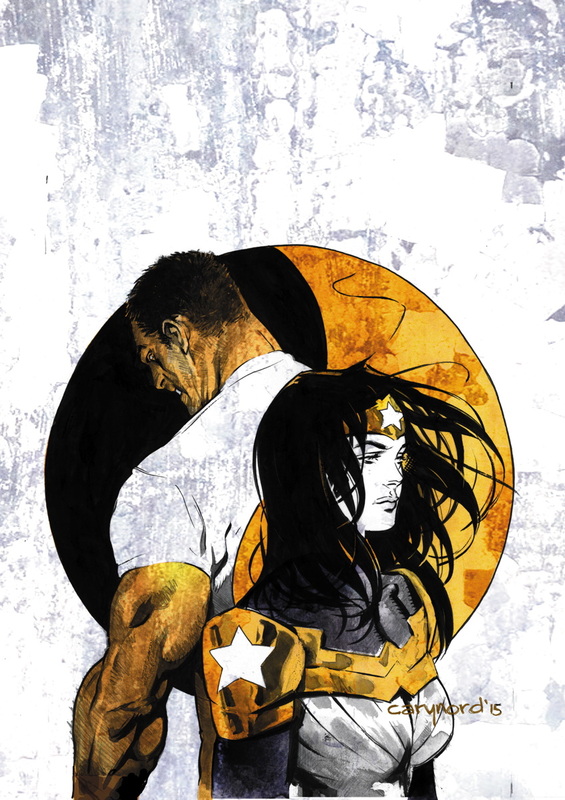 There’s a lot of Wonder Woman fun to be had this fall, and a lot of great covers. Remember to ask your local comic shop ahead of time if you’re keen to get a variant cover; they can go quickly. 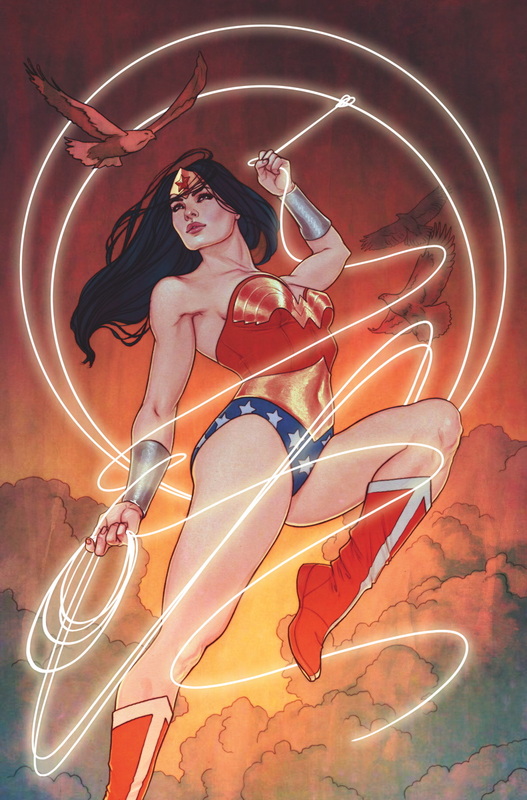 This entry was posted on July 15, 2015 at 2:52 pm and is filed under WW Comics. You can follow any responses to this entry through the RSS 2.0 feed. You can leave a response, or trackback from your own site. It is really a shame that DC has such a bad writer on the WW title. There were good ideas with Donna’s reintroduction but it’s been so poorly handled. 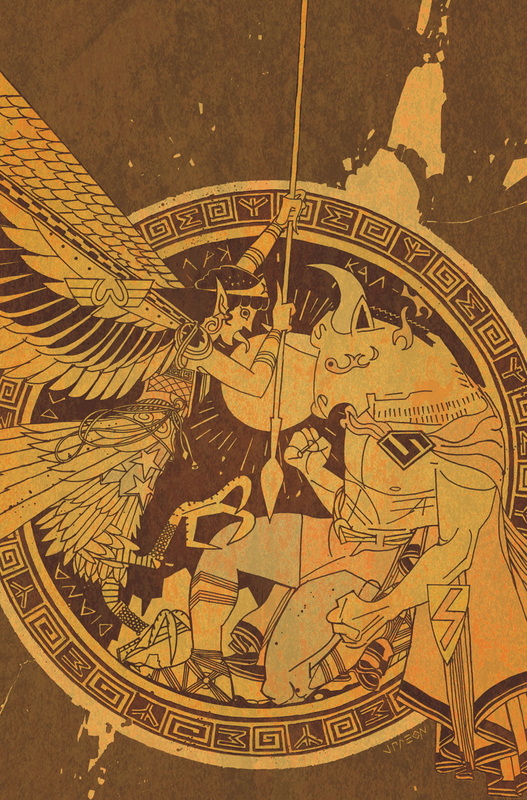 There was the panel showing that the clay she was made from was Hippolyta’s statue. It could’ve reintroduced her complete with ties as Diana’s sister and Hippolyta’s daughter. Instead she is a characterless puppet. In the hands of a better writer it could’ve been a good storyline. And even the view from afar is pretty depressing. Thanks for keeping watch, Tim.